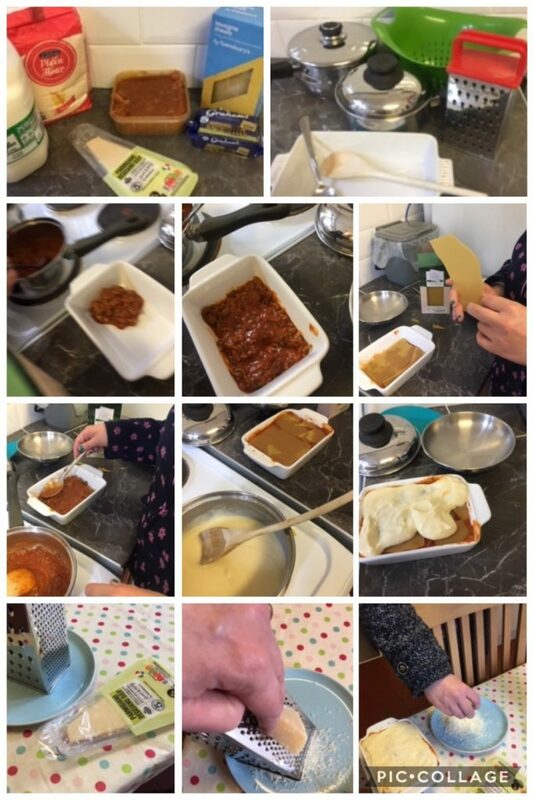 Fiona had made a bolognese sauce and froze half of it and decided to make a lasagna with the other half. Make the white sauce by melting the butter in a pan then add the same amount of flour. Stir until it becomes a paste, just like the photo. Now layer your lasagna 1/3 of bolognese, 1 layer of lasagna sheets, 1/3 bolognese, 1 layer lasagna sheets, last of the bolognese then last layer of lasagna sheets and top with white sauce. Top with grated Parmesan and bake in oven for 15 to 20 minutes until lasagna sheets are soft.